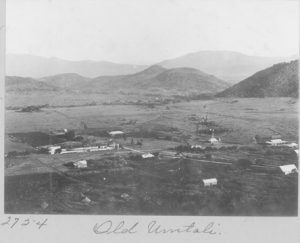 “Old Umtali” Mission (now “Old Mutare”) is located at the site of the original town of Mutare, founded in in 1891. 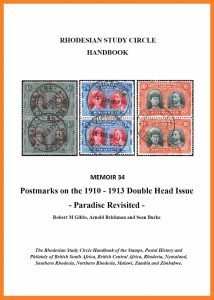 The town and all its inhabitants were relocated approximately 10 miles southeast in 1896 to a location more convenient for the railroad line then being built from Beira. This was less expensive than bringing the line through the Nyamashiri mountain range (Christmas Pass). 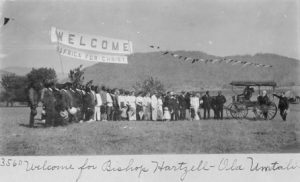 At the invitation of Cecil Rhodes, Bishop Joseph Hartzell of the Methodist Episcopal Church (MEC) arrived in the new town of Mutare in December 1897. 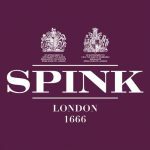 “Rhodes urged him to visit the original site of the settlement with the thought of establishing mission work there.” After looking over the old site and the new city, Bishop Hartzell entered into negotiations with the British South Africa Company in London. Agreement was reached in March 1988 granting MEC the old town site with all its buildings together with 13,000 acres of land. 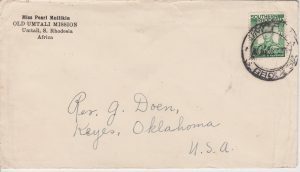 The first missionary, Rev. 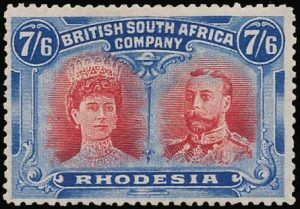 M. H. Reid, arrived at Old Mutare in October 1898. A boy’s school was opened in 1901 soon after the coming of Rev. E. F. Greeley. 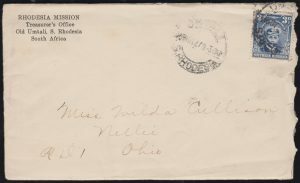 The mission had its first girl student in 1904 through the efforts of the Methodist Woman’s Foreign Missionary Society (WFMS). 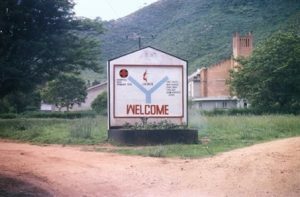 In 1912, Old Mutare was chosen as the central location within Southern Rhodesia for training of “those who felt called to preach and teach.” The school became known as the “Central Training School” (later “Teacher Training School” and “Hartzell Training School”). Old Mutare Mission “quickly developed into the main center for pastor-teacher training and the dissemination of the gospel in Eastern and northeastern Southern Rhodesia.” Boys and girls education integrated in 1924. 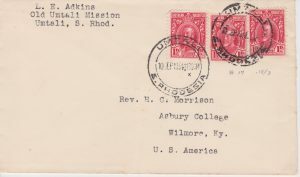 A theological school was added beginning 1927. 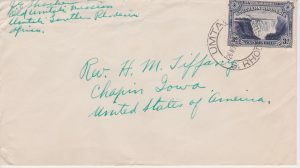 By 1965, the teacher training and theological schools had closed and the schools had developed into the present Hartzell Primary and High schools. 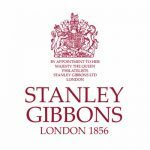 Medical work at Old Mutare began with the arrival of Dr. Samuel Gurney in 1903. Dr. Gurney left in 1909 to begin the mission at Mrewa (Murewa). He wasn’t replaced until 1916 when Swedish nurse, Miss Ellen Bjorklund, transferred from Portuguese East Africa (PEA). Old Mutare Hospital currently consists of a 70-bed facility including a 30-bed maternity unit, operating room, a family and child unit, and a 12-bed waiting mothers’ shelter. 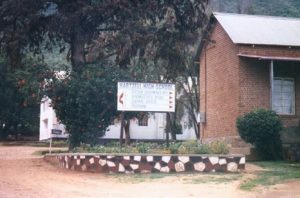 Under the control of the United Methodist Church in Zimbabwe, Old Mutare today supports the Hartzell Primary and Senior Schools, a Church, Old Mutare Mission Hospital, the Fairfield Children’s Home and agricultural program. African University is located nearby.